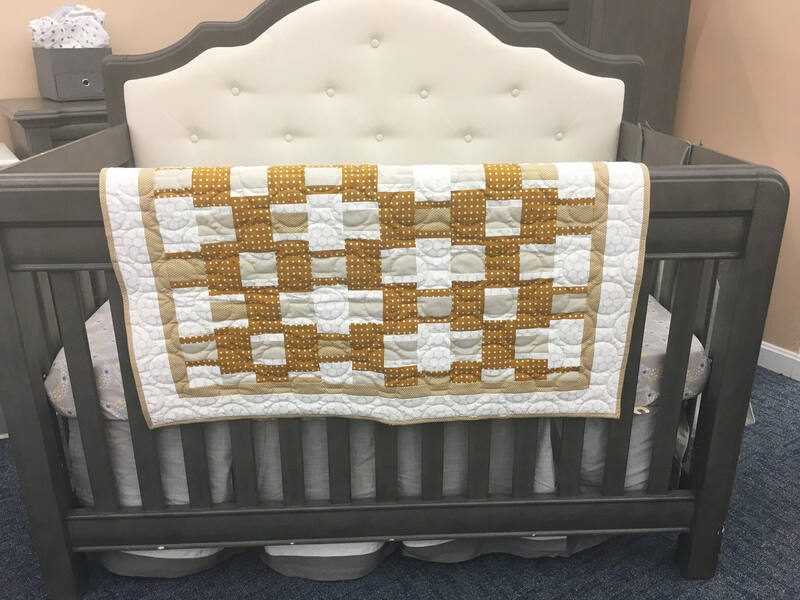 This beautilf gender-neutral baby quilt measures 38" x 42", in saddle and white cotton. 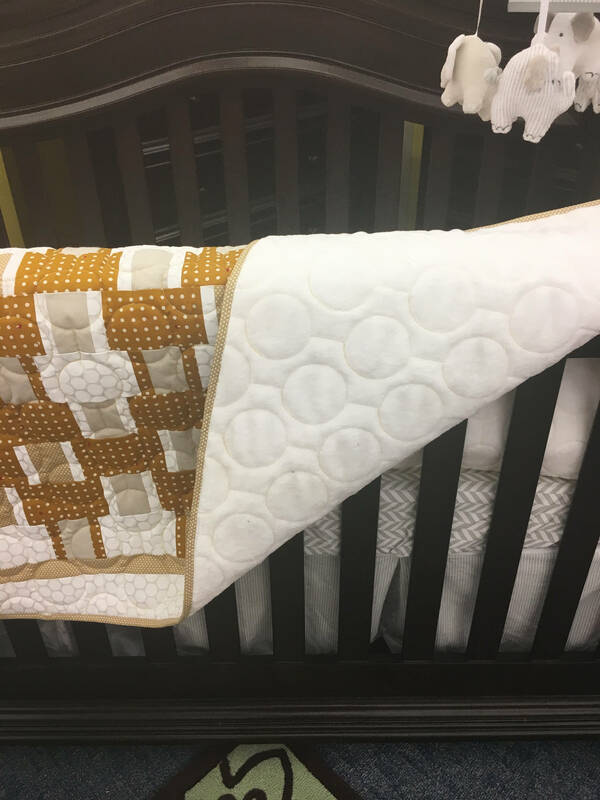 It is backed with a "soft & comfy" plush backing. 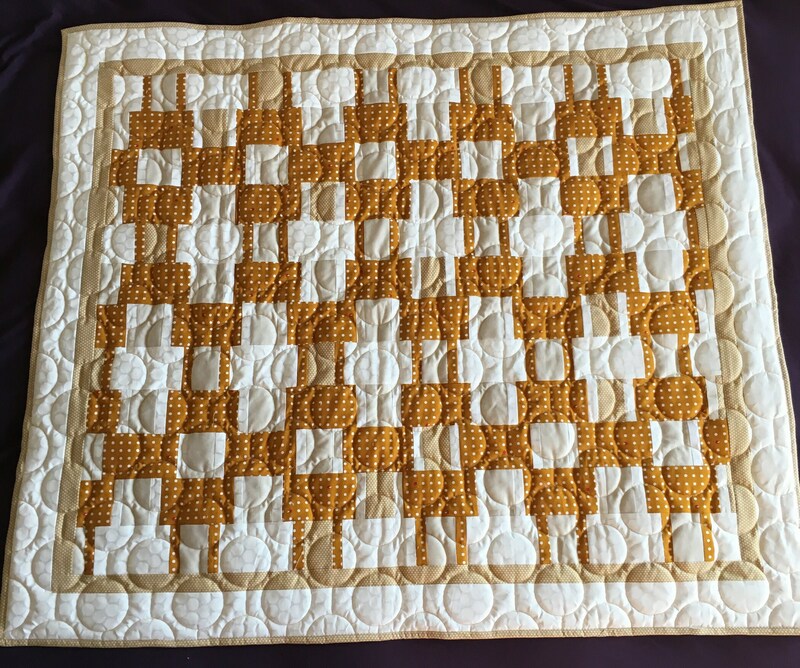 This is my own created pattern and unique fabric; a one of a kind. 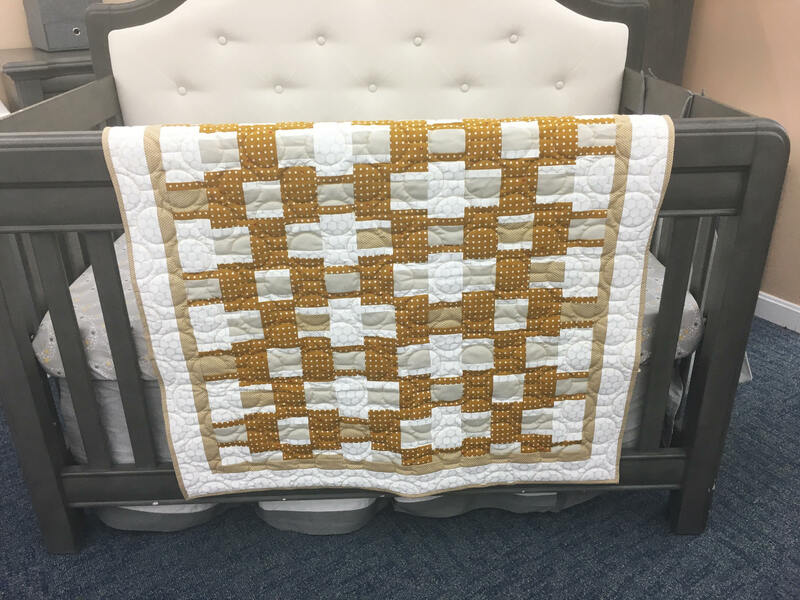 This quilt can be put in the washer and dryer and has been made in a smoke-free, pet-free environment. 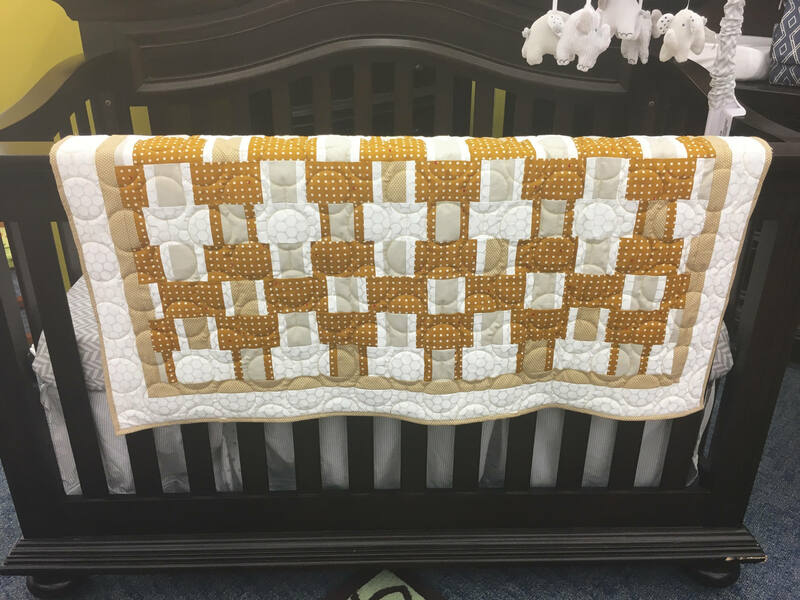 If you see a baby quilt that you like in my store but would like a different color, I'd be happy to create a custom baby quilt for you. In this case, please allow 3-4 weeks turnaround time. Should the actual shipping cost be less than that indicated, a refund will be applied.